You are here: Home / Craft / 25 Fun and Fabulous Easter Crafts! 25 Fun and Fabulous Easter Crafts! I don’t know about you, but I can hardly believe it’s already April! Before we know it, it is going to be Easter in a few short weeks! 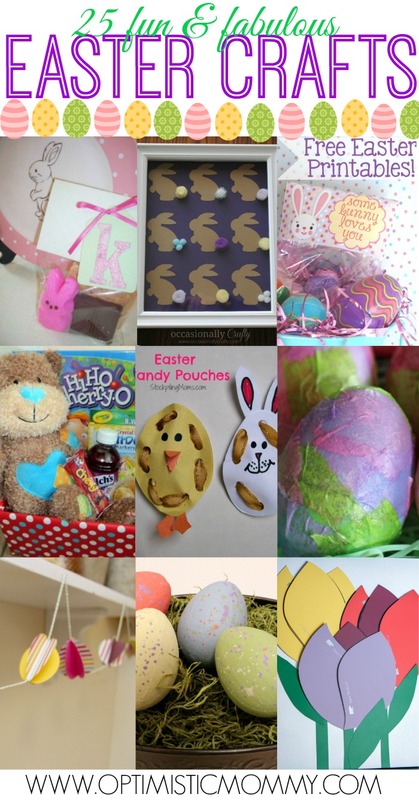 To get you in the spirit, here is a round up of some fun Easter crafts. All of these would make great decorations, or even gifts! Maraca Easter Egg // What’s Up Fagan’s? Which one of these Easter crafts are you most excited to do? Thanks so much for sharing my craft. Off to check out the others.